Johnson will be looking to bounce back under a new coaching staff in 2019, Darren Urban of the Cardinals' official site reports. Johnson rushed for 62 yards on 17 carries during Sunday's 27-24 loss to Seattle. 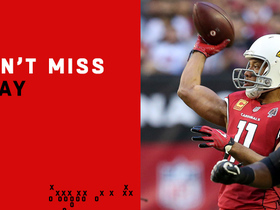 He also caught three of his four targets, managing six receiving yards on the afternoon. 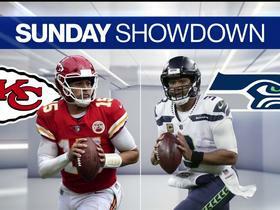 Johnson rushed 10 times for just 35 yards but brought in one of five targets for a 32-yard touchdown reception in the Cardinals' 31-9 loss to the Rams on Sunday. Johnson rushed for 33 yards and a touchdown on 11 carries during Sunday's 40-14 loss to the Falcons. He added 68 yards on three catches. Johnson (quad) doesn't have an injury designation for Sunday's game in Atlanta, Darren Urban of the Cardinals' official site reports. Analysis: Johnson returned to a limited practice Thursday and upgraded to full participation Friday. He's ready for his usual busy role against a leaky Atlanta defense that's allowed a league-high 97 receptions to running back, not to mention 4.8 yards per carry and 15 total touchdowns. Of course, Johnson managed just 61 scrimmage yards last week in a favorable home matchup with the Lions. Johnson (quadriceps) was a limited participant in Thursday's practice, Darren Urban of the Cardinals' official site reports. Analysis: The Cardinals withheld Johnson from Wednesday's session with the quad issue, but coach Steve Wilks said afterward that he expected the running back to suit up Sunday in Atlanta. Johnson's return to practice a day later, albeit in a limited capacity, seemingly supports Wilks' optimism. Johnson would put to rest any concern about his Week 15 availability by practicing fully Friday, but even another limited showing would have him trending in the right direction. Johnson (quadriceps) returned to practice Thursday, Darren Urban of the Cardinals' official site reports. Analysis: Despite Johnson sitting out Wednesday's session, coach Steve Wilks told Urban that the running back is expected to play Sunday in Atlanta. Taking part Thursday is a step in the right direction, but Johnson may have some kinks to work out regarding his injured quad, which could result in a limited listing. Johnson was held out of practice Wednesday with a quadriceps injury but coach Steve Wilks expects the running back to play in Sunday's game at Atlanta, Darren Urban of the Cardinals' official site reports. Analysis: Johnson handled his usual workload in Sunday's 17-3 loss to the Lions, taking 15 carries for 49 yards and eight receptions for 12 yards while handling his largest snap share (89 percent) since Week 6. Rookie fourth-round pick Chase Edmonds is next in line for the lead role if Johnson doesn't end up playing against a shaky Atlanta defense. Johnson rushed 15 times for 49 yards and caught eight of 10 targets for 12 yards during Sunday's 17-3 loss to Detroit. He fumbled once, but it was recovered. Johnson garnered 69 yards on 20 carries and added a 3-yard catch on two targets in Sunday's 20-17 win over the Packers. 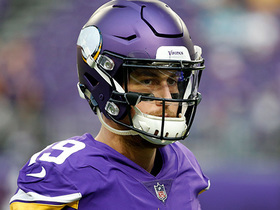 Analysis: All season, Johnson has been finding new ways to frustrate the fantasy owners who spent a premium pick on him. 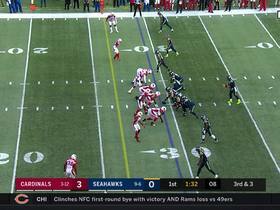 This time around, he got two scores vultured by rookie backup Chase Edmonds (six yards and eight yards), even though Johnson finished with 20 carries to Edmonds' five. A silver lining ahead of Arizona's Week 14 clash with the Lions is that Johnson's averaging a robust 23.5 touches over the past four games. Johnson carried 17 times for 63 yards and caught two passes for an additional 13 yards during Sunday's 45-10 loss to the Chargers. Analysis: Johnson averaged just 3.7 yards per carry and hardly made an impact as a receiver, halting the momentum he had built over recent weeks. 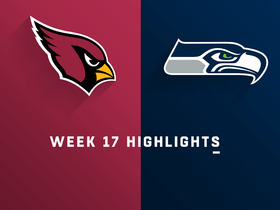 The Cardinals were simply outmatched on the offensive side of the ball against a strong defense, which made matters worse by keying in on Johnson. He continues to see a full workload on a weekly basis and will look to bounce back next Sunday against the Packers. Johnson amassed 137 rushing yards on 25 attempts, adding one reception for 17 yards during Sunday's 23-21 loss to Oakland. 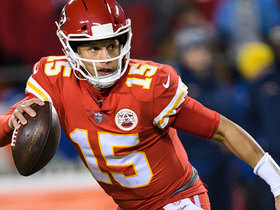 Johnson racked up 98 rushing yards and one touchdown on 21 carries, adding seven catches for 85 yards and a receiving score during Sunday's 26-14 loss to the Chiefs. 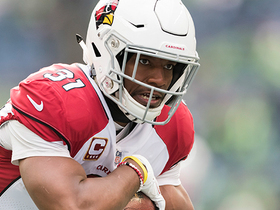 Arizona Cardinals running back David Johnson gives his advice to quarterback Josh Rosen on trade rumors. 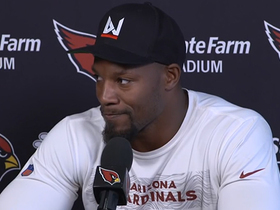 Cardinals running back David Johnson told NFL Network his take on Arizona's new head coach, Kliff Kingsbury. 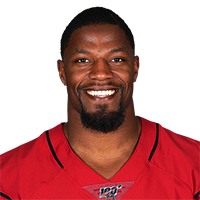 Arizona Cardinals running back David Johnson ties up the game with a successful two-point conversion. 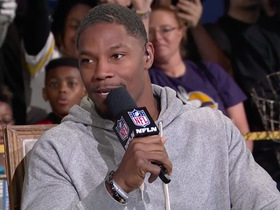 NFL Network's Maurice Jones-Drew and Matt "Money" Smith discusses expectations for marquee players in 2019.